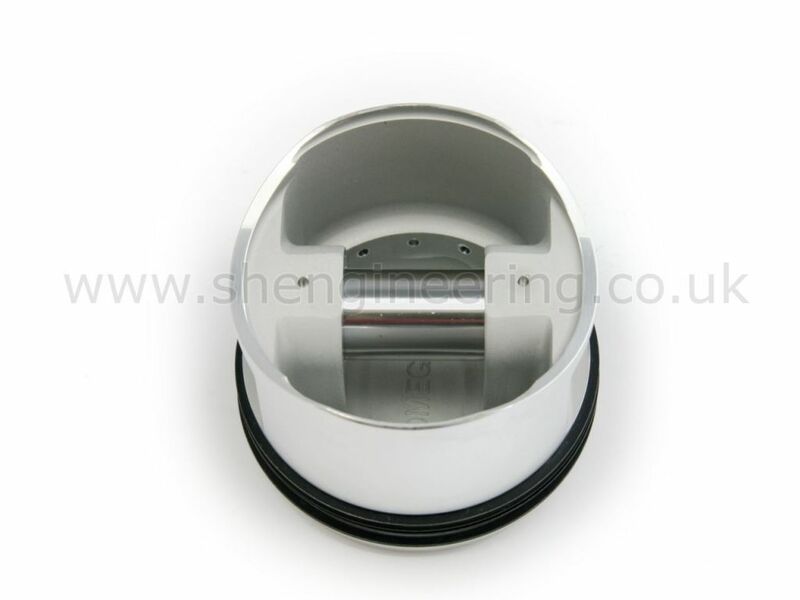 Omega forged pistons are known to be the very best quality. Their unique processes include forging at very low temperature compared to their competitors, vastly improving grain structure & therefore overall strength of the finished product. 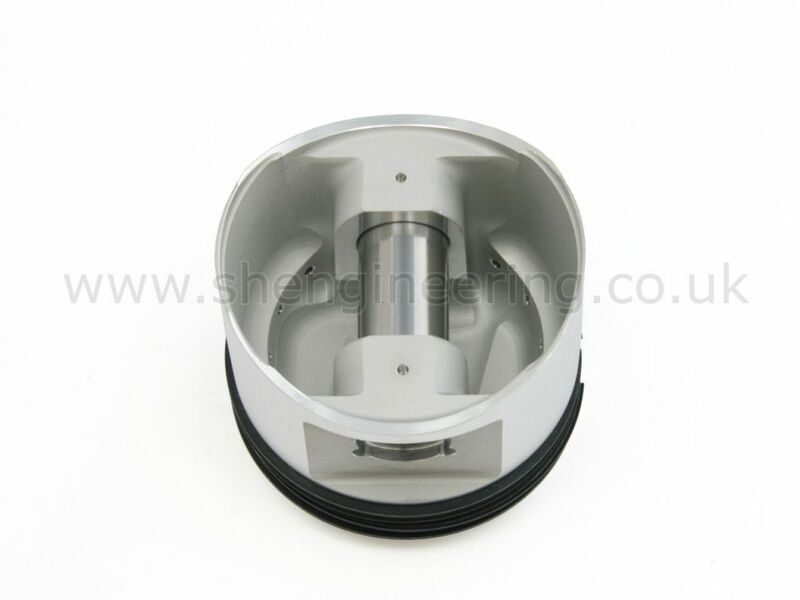 Detailed engineering in ring groove design is a thing that cannot be seen, but is meticulously machined in all Omega pistons to give improved sealing of the rings. The B' range we stock are all now offered with Moly coating as an option, further improving friction reduction. 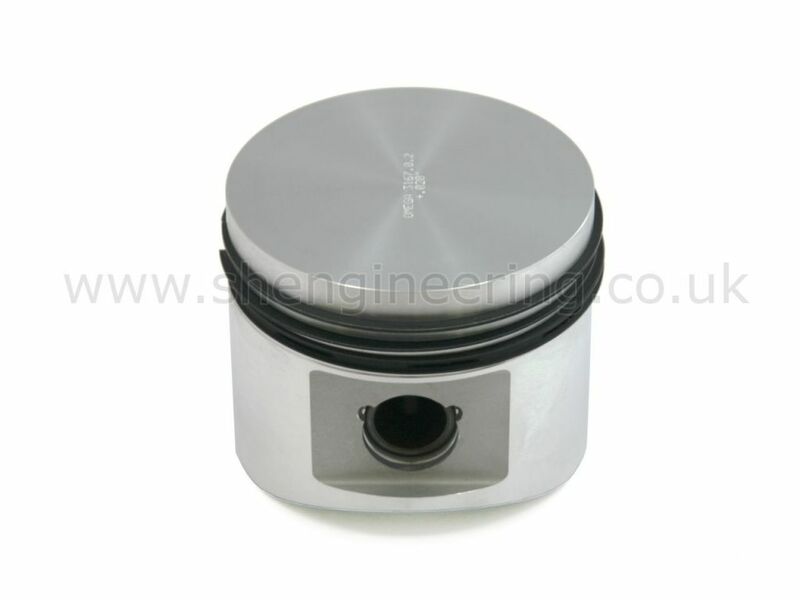 SH Eng have acquired the exclusive distribution rights on these excellent pistons for the MGB. + 0.020, + 0.040, + 0.060, & 83.5mm (1950cc). Now available with friction reducing Moly coating £50. Ring packs also available £100. New in. 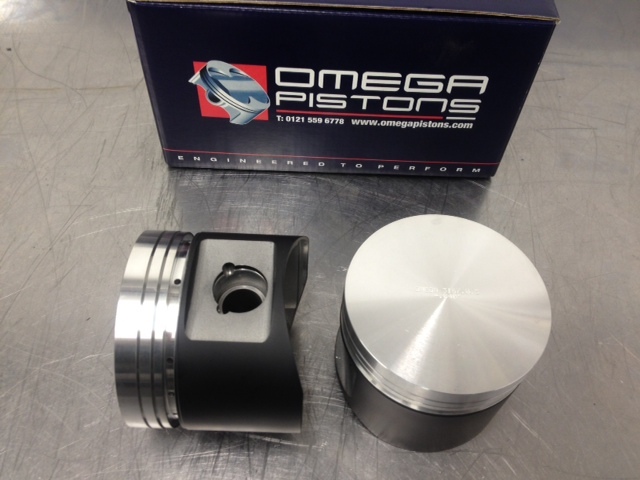 We have recently had Omega redesign the race pistons for the B Series engines. We felt the design needed updating, so a new forge tool was commissioned & a much lighter piston has resulted. A slipper design, Moly coated with shorter & smaller diameter pin complete with new low friction ring pack. See last 3 pictures. Price £595. Rod bushes to convert existing rods to small pin size are available £60. Or we can carry out the rod conversion for you.